I prayed and prayed that no child of mine would suffer from a peanut allergy like I do. Peanut butter is heavenly and I miss it oh so much, one thing people with a peanut allergy know is that granola bars are usually off limits. Most contain some kind of nut or are produced in a facility with peanuts. My son has a pretty severe peanut allergy that I’m hoping for his sake(at least the severity) he outgrows one day, but in the meantime I love making him my favorite Dark Chocolate Roasted Coconut and Candied Mandarins Granola Bars. Making the bars myself ensures there is no cross contamination with peanuts or any other nuts. Being a parent of a child with a severe nut allergy is terrifying especially when the child is too little to understand. Recently Maxwell started preschool and even though the school is technically a “Nut free zone” there has still been incidents where other parents have sent in peanut items. I urge all parents to take any allergy the school says they have a child attending with very seriously, as if it were your own child. 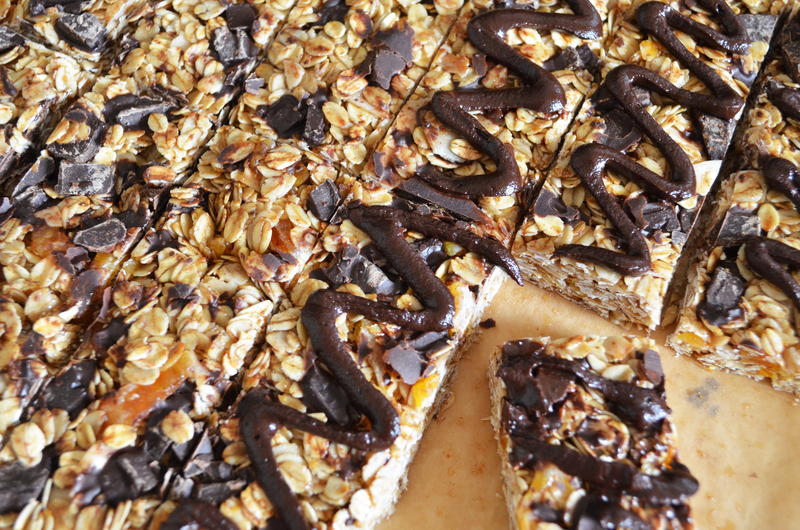 These granola cars are phenomenal and full of delicious flavors to appease kids and adults. The combination of sweetness mixed with the texture of the chewy granola has a perfect balance. Adding in the roasted coconut, dried mandarins and dark chocolate takes this great tasting granola and turns it into a sinful treat! 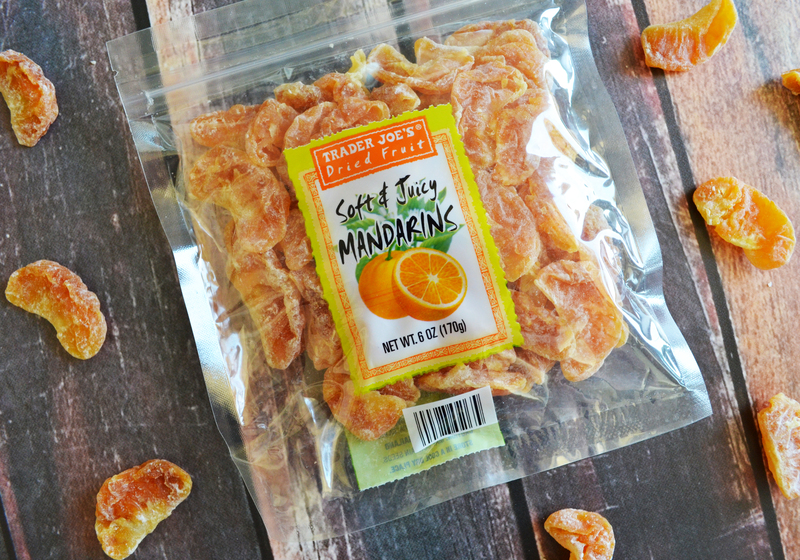 I just want to take a moment to thank Trader Joe’s for carrying one of my absolute favorite dried fruits ever, Soft & Juicy Mandarins! Candied Mandarins are what they go by in our home, with their slightly sweet and chewy texture. Of course if you can not find dried mandarins you could substitute with dried cranberries.